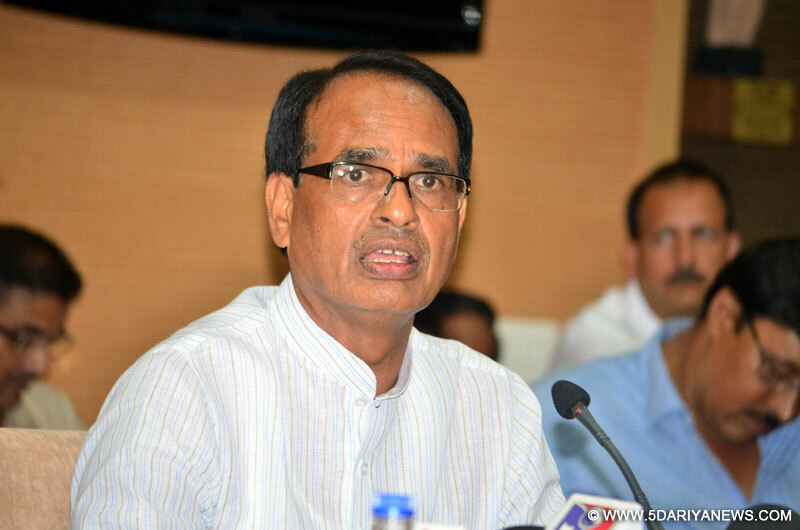 Madhya Pradesh Chief Minister Shivraj Singh Chouhan on Wednesday said he would request the Supreme Court that the investigation into the Vyapam scam be handed over to the CBI. "The matter is about to come up in the Supreme Court. We request for a CBI probe in the case. I have sent my request to the High Court asking for a CBI probe into the Vyapam case," Chouhan told reporters here.The Supreme Court will hear on four different petitions that seek a CBI probe in the Vyapam scam on July 9.A day after recommending a CBI investigation into the Vyapam recruitment scam, Chouhan was in national capital on Wednesday to attend a meeting convened by the ministry of external affairs to review preparations for the World Hindi Conference.Chouhan also claimed that he was the first person who initiated the probe thoroughly. "Our government was responsible for the extensive probe so far. Even then, if there is any doubt, let the CBI probe bring truth out. The government is ready for a CBI probe and all those who are guilty should be punished," Chouhan said. Chouhan also took a dig at the Congress and said they have nothing to do with development of Madhya Pradesh.He said, "...They have nothing to do with the development of Madhya Pradesh. They are only trying to tarnish the image of Madhya Pradesh. "Chouhan is expected to meet the family members of Delhi-based journalist Akshay Singh who died mysteriously in a Madhya Pradesh town on July 4 while covering the story of the Vyapam scam. "Definitely, I will go and meet the family members of Akshay Singh. I will go there after fixing a time," Chouhan said.In a dramatic U-turn, Chouhan on Tuesday recommended a CBI investigation into the Vyapam recruitment scam.The Shivraj Singh Chouhan-led government on Tuesday filed an application in the state high court seeking the transfer of probe to the CBI after demands for a fair probe grew louder from many corners.